The temperature might be finally dropping (Maybe? You reckon? ), but that is definitely no excuse for stopping the diligent sunblock application that you have been doing all summer long. Or at least that I hope you’ve been doing all summer long! Which brings me to a beautiful new formula that I have recently discovered that was created by some clever types that truly know skin. Called Cherry Black Facial Sunscreen (SPF30), it was developed in association with leading experts at the Skin Institute and contains three natural active ingredients that work together to protect, restore and renew the skin. First up is Zinc Oxide, which places an invisible barrier between your skin and the harmful UVA and UVB rays that cause early ageing and damage to your skin. Next is natural Cherry Plant Extract, a rich and powerful plant extract that supports the restoration of the skin’s structure, and lastly, Vitamin B to reduce fine lines and age spots. So it stops halts the sun damage that causes ageing and treats the signs of ageing that you already have – what’s not to love? 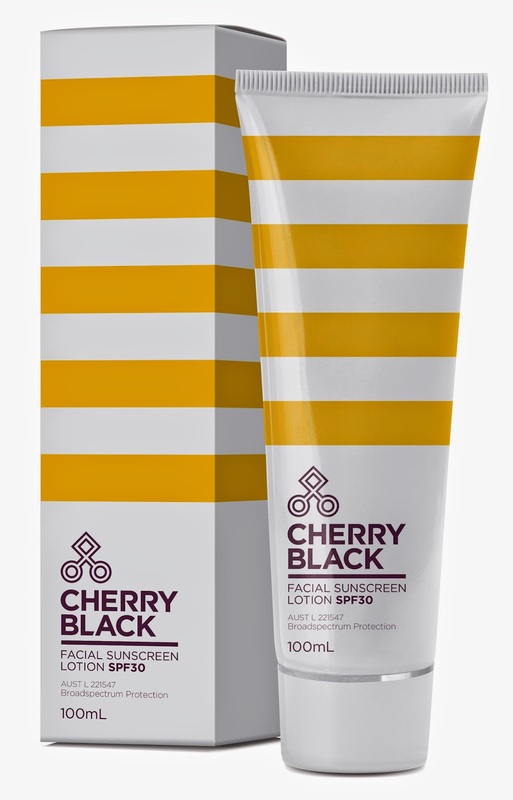 Unlike many other creams and lotions on the market, Cherry Black Facial Sunscreen provides very high sun protection, has no added fragrance and is not bleached, so retains its naturally pale pink colour. It’s also an absolute joy to apply, and feels more like a beautifully light skin crème than sunblock. It absorbs quickly into the skin and because it is non-whitening and non-greasy, it’s perfect to wear either under make up or alone. This beauty has an RRP of $79.95 (100ml) and can be found here. amazing sounding sun protection, esp like the cherry extract element.